Have you installed Smartsupp on your website already? Good. So what now? Let’s take a look at our tips on how to generate higher revenue with live chat. The chat box shouldn’t be invisible on your page. Choose a chat window color that makes your chat window unique. Upload the picture of your company’s mascot. A lot of companies just have a boring chat window. Be different. The visitors on your page have to realize that a live chat is the fastest way to communicate with you. Let them know that you are ready to respond. You can use different messages above your chat box. For example: “Hello, we are here and ready to answer your questions!” Be original. Test your messages and pick the best one. Use triggers to reach your customers. Automated messages are the greatest way to engage with your customer at the right moment and guide him toward the conversion. Let’s say that your visitor is on a specific page for more than five minutes. He could be looking for some specific information. Let him know that you can help. (Obviously you can’t look for every undecided potential customer. Fortunately a trigger will do all the work for you). Don’t let your customer wait. Be there for him when he or she needs you. Respond as soon as possible. Always be helpful. Listen to your customers and do your best to help them. Don’t let the problem be unresolved. Ensure that your customer is satisfied with your customer service. If you don’t know, don’t lie. Don’t say “I don’t know” either. Be proactive. You can promise that you will find the answer. Ask for a contact where you can reach your customer. Be trustworthy. Don’t use “maybe” or “probably”. You are the expert. You should know that or find it out as soon as possible. Don’t quit your conversation before your customer leaves. Ask them for any other questions. They could have forgotten something. You have probably heard about this sales technique already. A live chat is very convenient for upselling. Especially at the moment when your potential customer is not sure which variation of your product is the right one for him. You can simply expose him to the option he didn’t consider. Anyway don’t be too obsessed with trying to sell. Offer only useful recommendations. 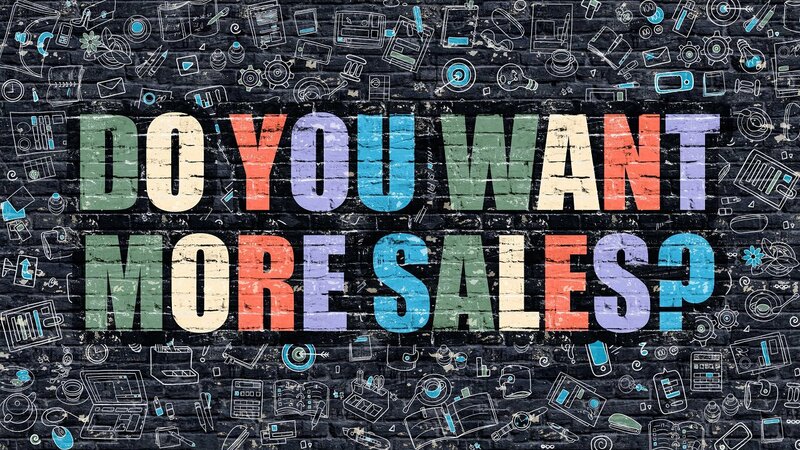 If you are looking for a way to boost online sales, cross-selling is a very useful sales technique for you. It is very similar to upselling. In this case you offer another product to your customer. It could be a complementary product, which he might enjoy more. One of the best ways to increase your customer satisfaction and turnover is to measure your results. Use Google Analytics integration to segment users of your chat. You can see the impact of the chat on your sales or the performance of each of your operators. It helps you spot areas for improvement. You still don’t have a live chat on your website? Make your business grow!